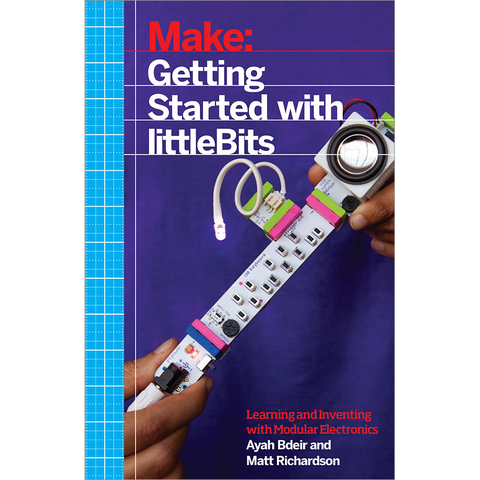 Produktinformationen "Make: Getting Started with littleBits"
Combine littleBits, simple, snap-together, magnetic bricks, to make simple electronic circuits, or build robots and devices that combine sensors, microcontrollers, and cloud connectivity. Project: The Game is On! Weiterführende Links zu "Make: Getting Started with littleBits"
Garantie(Jahre) "Make: Getting Started with littleBits"
Weitere Info "Make: Getting Started with littleBits"
Kundenbewertungen für "Make: Getting Started with littleBits"